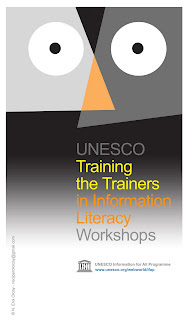 The UNESCO “Training the Trainers in Information Literacy Workshop" hosted by the Institute of Information Studies of Tallinn University and National Library of Estonia will take place in Tallinn, Estonia, from August 21-23, 2008. The aim of this Workshop is to provide facilitators of information literacy with up-to-date knowledge and skills, and bring them together to discuss and share knowledge on current issues, theories, teaching and learning approaches and methods, as well as best practices and lessons learned in facilitating the development of information-related competencies. Every individual and organization in our modern society needs to master various kinds of competencies. Information literacy or information-related competencies are important competencies in our modern society; these competencies will enable people and institutions both to succeed in a constantly changing and challenging, and highly competitive world. Information literacy is a set of competencies allowing individuals to know when and why you need information, where to find it, and how to evaluate, use and communicate it in an ethical manner. It is believed that information literacy is the keystone to lifelong learning and an information literate individual is a self-directed individual capable of knowing how to learn throughout his/her entire lifespan. Librarians, educators and other information professionals play an important role in facilitating the development of information literacy. 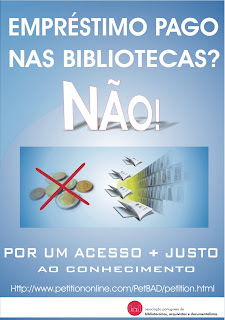 Therefore, providing an opportunity for librarians, educators, archivists, curators, and other professionals to develop knowledge and skills in information literacy concepts and practices is crucially important to every nation, its institutions, and other elements of its society, both public and private. • Explaining the concept, and importance of information literacy and lifelong learning. 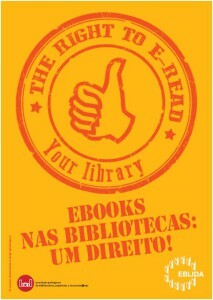 • Providing an overview of the current information literacy world. • Presenting information literacy models, programs and standards. • Sharing best practices and lessons learnt in facilitating information literacy. • Analyzing the characteristics of learners, their needs and learning styles. • Describing tools, methods, techniques and approaches for the development of information literacy. • Describing ways of embedding information literacy into curricula. • Discussing methods of assessing information literacy. • Suggesting models and strategies for collaboration. The Workshop will include discussions, sharing of experiences, group work, and will be facilitated by expert presenters. A Certificate of Completion will be awarded to workshop graduates who successfully complete the workshop. School and university librarians, academics, school managers and other administrators who are involved and/or in charge of facilitating the development of information-related competencies are invited to apply. A maximum of 50 participants will be accepted to the workshop mainly from the Baltic and Scandinavian countries, and Northern Europe.